For more than 40 years, The Pumphouse Theatre has been a home for Calgary’s emerging performing arts scene. In any given year more than a dozen companies will produce over 35 shows in the two theatres. The many diverse groups that perform at the Pumphouse Theatre range from large established companies to small up-and-coming artists collectives. Consequently, the shows produced here range from blockbuster musicals to Irish dramas to cutting-edge performance art as well as dance. The Pumphouse Theatre is committed not only to providing a high-quality venue for the arts but also to keeping that venue affordable for Calgary’s arts community. In order to keep costs manageable, especially for smaller groups and newcomers, rental rates for non-profit arts organizations are heavily subsidized. OUR MISSION is to enrich the cultural life of our community through the provision of affordable, accessible facilities, learning opportunities for youth, and a diversity of programming. We achieve our mission through the following programs: Theatre Rentals, Drama Education Program, Pumphouse Theatre Productions, Lobby Art Gallery, and Pumphouse Theatre Playbill. OUR VALUES: We embrace the vision engendered by the entrepreneurial spirit of our founders. That spirit is sustained through the long-term working relationships with our local community partners, supporters, clients and patrons. We strive to offer high-quality education programs and activities to introduce Calgary’s youth to the arts. We are committed to fiscal responsibility and sustainability which allows us to provide a quality facility, with a unique heritage, in a natural environment as a venue for affordable programming. We value diversity in our programming to support the growth of local and regional artists and arts organizations. The Pumphouse Theatres Society is a CRA Registered Charity and incorporated under the Alberta Societies Act. In the early 1970’s, there were few venues for Calgarians to produce performing arts events in the city: Theatre Calgary had only just started its professional operations in 1968, the Calgary Allied Arts Centre (Calgary’s community arts building) closed its doors in 1969, and the downtown Arts Commons wouldn’t open its doors until 1985. The sentiment across the country was that Canadians needed to tell our own stories: these stories needed to reflect our own issues and feature our own homegrown talent. Mrs. Joyce Doolittle recognized that there were so few adequate and affordable spaces to do this in Calgary, and in 1971 she saw the potential in the derelict No. 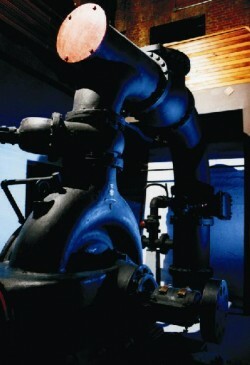 2 water pumping station-turned City of Calgary storage facility as a community performing arts space. 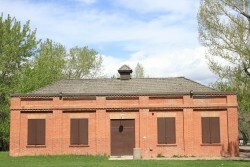 After successful negotiations with the Minister of Culture and the City of Calgary, the Pumphouse was leased to the Calgary Youth Drama Society (later renamed Pumphouse Theatres Society) in 1972 to operate the Pumphouse Theatre facility. The purpose was to provide Calgarians an affordable place to present cultural works. 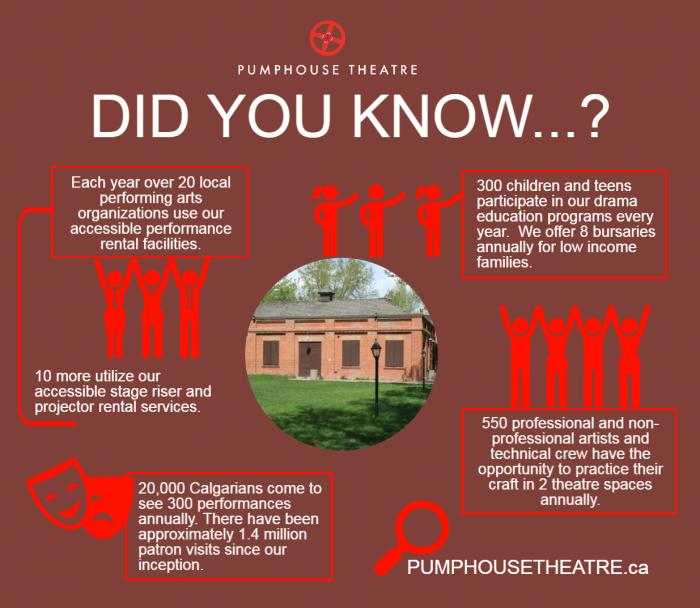 This has made a lasting positive impact on Calgary theatre: for over 40 years, the Pumphouse Theatre has helped tens of thousands of artists, over a million patrons, and tens of thousands of youth participate in the arts. 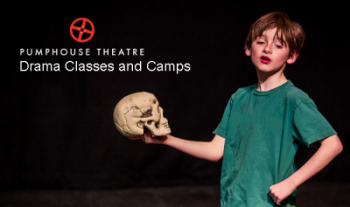 The Pumphouse Theatre continues to be a vibrant arts hub where tens thousands of Calgarians come to experience any of the 50+ events or productions and where hundreds of Calgary’s youth have experienced high quality drama education annually. 1968: No. 2 facility shut down, Joyce Doolittle begins lobbying for its designation as a community theatre. 1975: Architectural Heritage Award from the Province of Alberta and the site is designated a Provincial Registered Historic Resource. 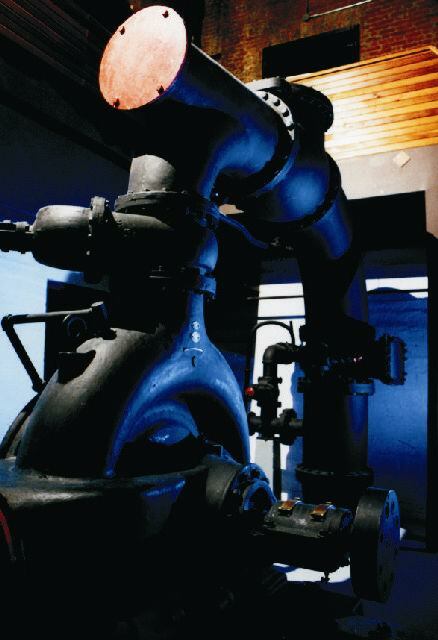 1980: American Waterworks Association designated the Pumphouse “Canada’s Third Major Water Landmark – Significant in the history of Public Water Supply”. 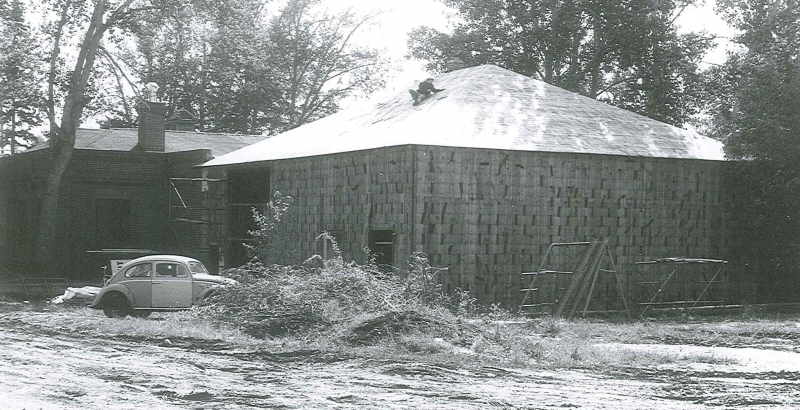 1982: Major renovations completed—Pump-room converted to Joyce Doolittle Theatre, The Shed is converted to 300 seat Victor Mitchell Theatre. 1984: Calgary Youth Drama Society hosts its first Drama Day Camp. 1988: Calgary Youth Drama Society renamed Pumphouse Theatres Society. 1990: the City of Calgary designates the site a Municipal Historic Resource. 1992: Calgary Mayor All Duerr proclaims March 15-21, 1992 “Community Theatres Week” to commemorate our 20th Anniversary. 2005: The Pumphouse Theatre welcomed its One-Millionth Patron. Received letters from Prime Minister of Canada, Paul Martin, Hon. Ralph Klein, Premier of Alberta, and Mayor Dave Bronconnier, City of Calgary, in congratulations. 2005 to 2011: Pumphouse Theatre Co-Produces the “IGNITE! Festival For Emerging Artists” with Sage Theatre. 2011: Pumphouse Theatre Co-Produces “The Highest Step in the World” with Ghost River Theatre and “The Christmas Carol Project” with Brass Monkey. 2012: Pumphouse Theatre Co-Produces “Ignorance” with the Old Trout Puppet Workshop as well as “Evil Dead: The Musical” with Ground Zero and Hit & Myth Productions. 2013: Pumphouse Theatre basement floods as city is partially evacuated. 2014: Pumphouse Theatre celebrates 30th year of Drama Day Camps. 2015: PTS opens the Lobby Art Gallery & presents the 20th Anniversary Farewell Tour of The Christmas Carol Project. 2016: PTS Presents Charles Ross’ One-Man Star Wars Trilogy and One-Man Lord of the Rings.